Make Banff Gate Mountain Resort your basecamp for all of your mountain activities. Banff Gate Mountain Resort is an outdoor playground for all ages, where mountain activities and rustic amenities meet. Nearby, you'll find adventures at Lake Louise and Banff National Park. Popular activities include water rafting, hiking, skiing, mountain biking, dog sledding, golf, and much more. When you're ready for some peace and quiet, head back to the picturesque grounds of the resort. Nestled in the majestic pines of Pigeon Mountain at the foot of the Lougheed and Windtower Mountains, these 46 fully appointed chalets feature two bedrooms, living areas, and full kitchens. Children's play areas are intertwined by hiking trails that sprawl through the resort and connect to the surrounding wilderness. Local wildlife often wanders unhindered through the area and across the property. The resort also features an indoor heated pool, hot tubs, and a family recreation room perfect for families and adventurers. With temperatures ranging from the 70’s in summer to the 30’s in winter, the surrounding area of Banff Gate Mountain Resort has an array of outdoor activities. Whether you are there in the spring or just as winter begins, these are the top five attractions you definitely don’t want to miss. Request a vacation guide today! For those preferring more peace and quiet, the picturesque grounds of the resort provide the perfect retreat. Children’s play areas are intertwined by hiking trails that sprawl throughout the resort connecting to the surrounding wilderness. Local wildlife often wander unhindered throughout the area and across the property. Book your stay direct and save! "Relaxing vacation with amazing views of the Rockies!" Banff Gate Mountain Resort is home to forty-six chalets. 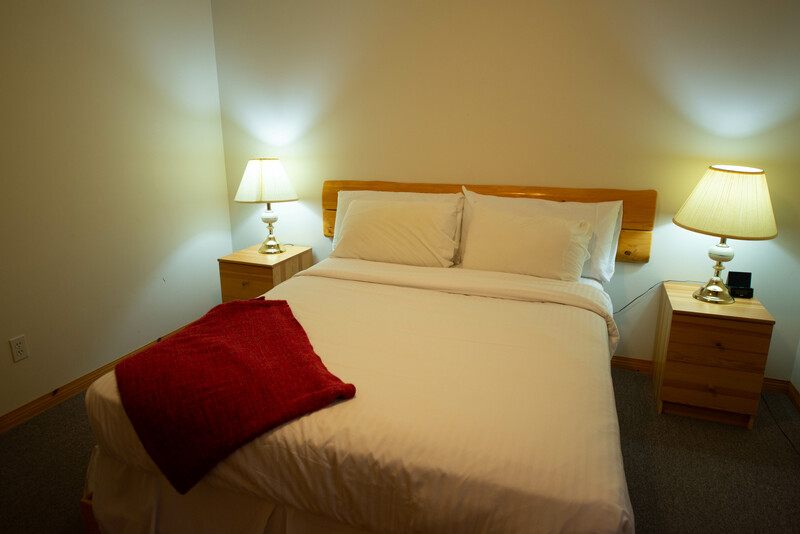 Each chalet features a full kitchen, two quiet bedrooms, and a spacious living area. Throughout the Resort’s property are hiking trails that connect to children’s play areas and the surrounding wilderness. Be on the lookout for local wildlife roaming through the property! The resort also features an indoor heated pool and hot tubs – perfect for thawing out after a long day outdoors, as well as a family recreation room that provides a great activity space for the kids! Winter Attractions Offer Incredible Views and More! © 2019 Banff Gate Mountain Resort. Powered by RHS Inc.